Omadino, Obodo, Aja-Solo, Uwakeno, Ifie-Kporo, Ajaluwa and Ewo-Kparan Communities in Warri South Local Government Area, host/impacted communities of OML 150 Field operated by Con-Oil, have in a protest passed vote-of-no confidence on their leader, Prince Charles Omadeli, saying he has failed them woefully. The protesters carried placards with inscriptions such as “community workers must work” “Charles must go” “We are tired of this forum” “Aja-Osolo say no to Charles”. 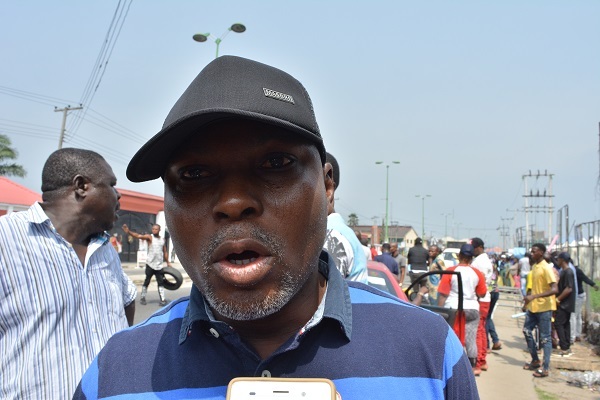 Addressing newsmen in Warri Friday April 12 during the peaceful protest, spokesman of the protesters, Mr. Roland Yomere accused Prince Charles Omadeli of short-changing them, alleging that for the past six months, indigenous workers from the host communities have not gone to work because of the meddlesomeness of Omadeli. According to Yomere, the management of Con-Oil stated that their communities’ leadership and indigenous workers should not be allowed to work because they have given Prince Omadeli all their dues. The protesters also accused Prince Omadeli of personalizing the communities’ finance, failing to call general meeting and paying people he called ghost workers 186,000 naira monthly, instead of 250,000 approved by Con-Oil. They called for the removal of Prince Omadeli led committee and setting up of a fresh seven-man interim committee after their meeting with the Olu of Warri in order to have prudent management that will avert imminent crisis. Other stakeholders from the communities claimed they have turned them to ghost workers and not carried along in labour supply, procurement and other contracts due to indigenous people. They appealed to the Olu of Warri, Ogiame Ikenwoli to wade into the issue so as to guarantee peace in the Itsekiri communities. 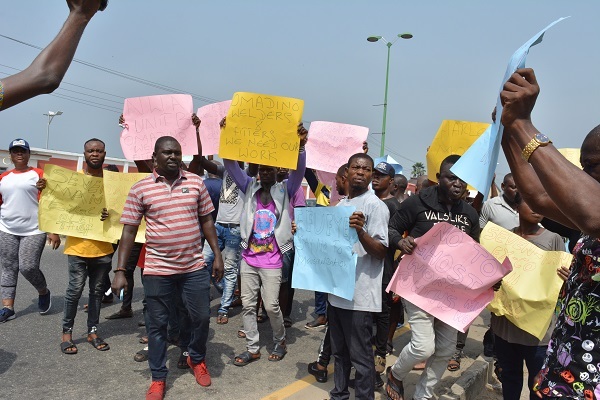 Our Senior Correspondent reports that the protesters marched through Angle Park and Ajamimogha Road, Warri before presenting their demands to the Olu of Warri. 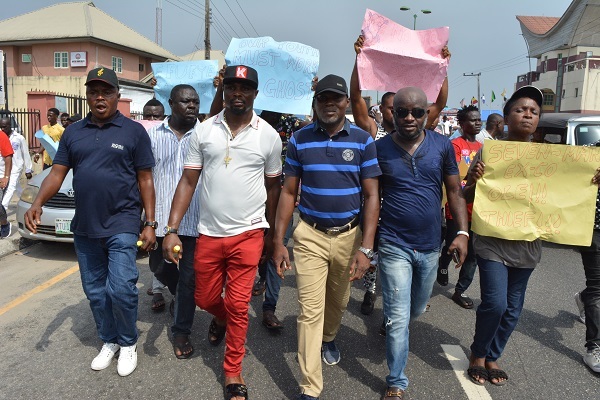 Members of Nigeria Welders and Filters Association, Omadino Unit B led by Mr. Kennedy Ugbameta took part in the protest.